USDJPY is under the influence of Foreign Reserves report and the less possibility of policy softening in September. This pair is moving with bearish bias creating a correction pattern after the growth to 104 area. 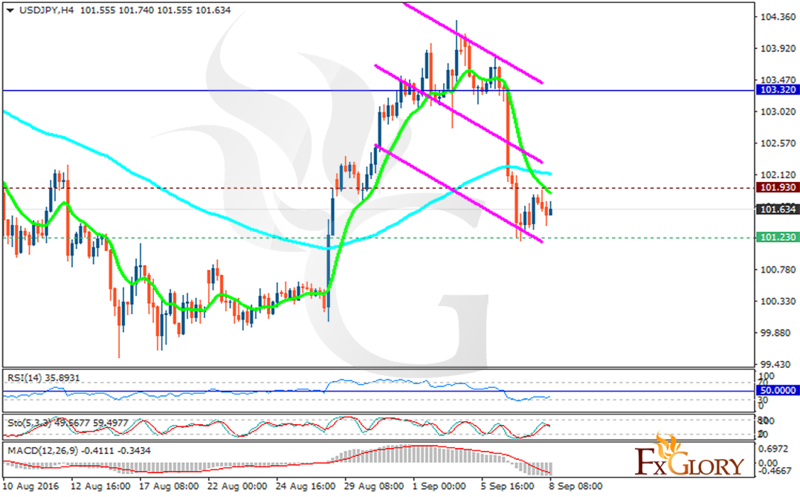 The support rests at 101.230 with resistance at 101.930 which both lines are below the weekly pivot point at 103.320. The EMA of 10 is moving with bearish bias and it is located below the EMA of 100. The RSI is moving in oversold area, the Stochastic is showing downward momentum and the MACD indicator is in negative territory heading down. The bearish pattern still continues, short positions are recommended with the target at 100.40.